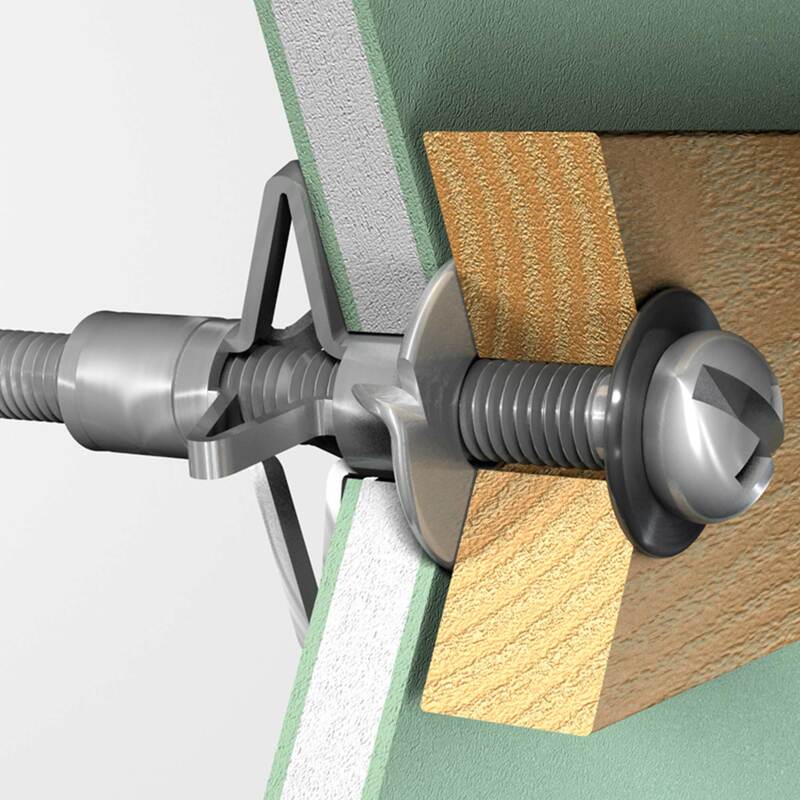 High performance cavity fixings, ideal for fixing heavy objects securely on soft faced partition boards, plasterboard, hardboard & plywood. 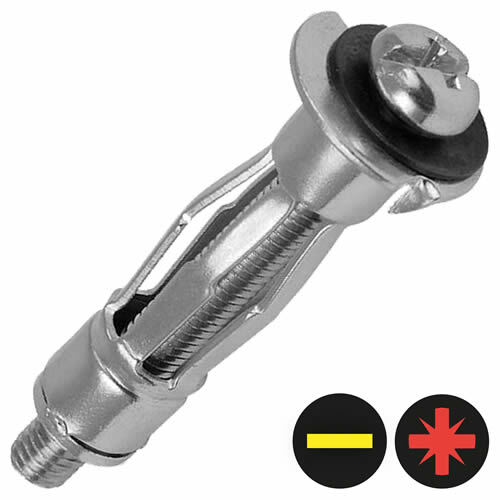 The screw and fixture can be removed and re-used. (e.g. When moving radiators for re-decoration) using a standard slotted or pozidriv screwdriver. Typical uses: Coat hooks to hollow doors, shelves and bathroom accessories to standard plasterboard, radiators and kitchen cabinets to double thickness and tiled plasterboard.